Jade plant (Crassula ovata): growing, planting, caring. 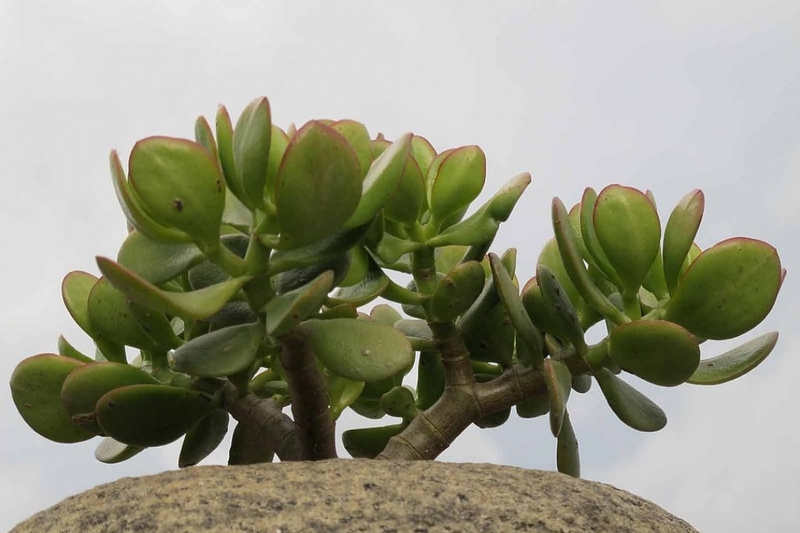 Crassula ovata - the jade plant, friendship tree, lucky plant or money tree - is a succulent plant with small pink or white flowers, native to South Africa and Mozambique and common as a houseplant worldwide. Much of its popularity stems from the low levels of care needed as it requires little water and can survive in most indoor conditions. 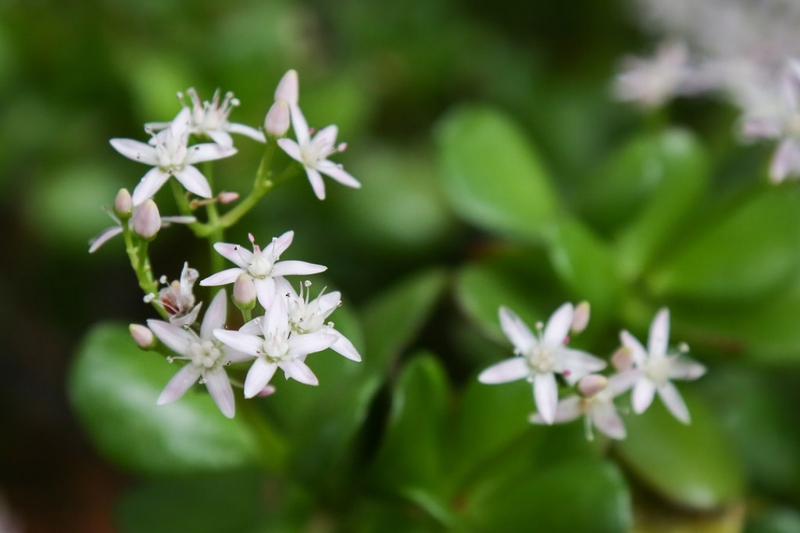 The jade plant is an evergreen with thick branches and thick, shiny, smooth leaves that grow in opposing pairs along the branches. Leaves are a rich jade green, although some may appear to be more of a yellow-green. Some varieties may develop a red tinge on the edges of leaves when exposed to high levels of sunlight. New stems grow the same color and texture as the leaves and although they turn brown with age they never become true lignified tissue, remaining succulent and fleshy throughout the plant's life. Under the right conditions, they may produce small white or pink, star-like shaped flowers in the fall.